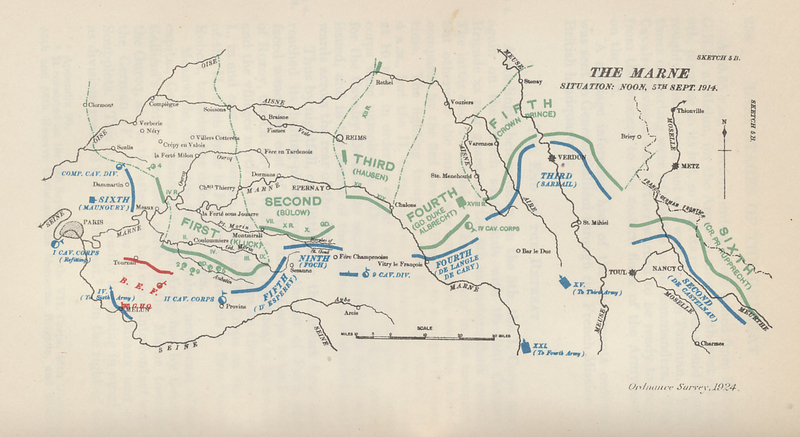 The situation on the Marne River, east of Paris, at noon on September 5, 1914. The Allied Retreat has ended, and French Commander Joffre has ordered his counterattack for September 6. Generals Galliéni, commanding the Paris Garrison, and Maunoury, leading the French Sixth Army, struck the German right flank on September 5. The German armies are in green, the French in blue, the British in red. 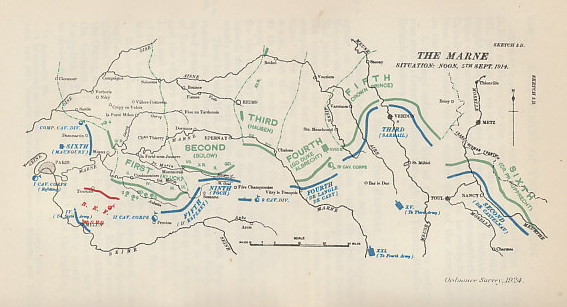 From Military Operations France and Belgium, 1914, Vol. I, August to October, by J. E. Edmonds.